Diabetes mellitus – or type two diabetes – was once termed adult-onset or age-related diabetes. It was associated primarily with older individuals or those with a western lifestyle: in other words, a poor diet and a sedentary life. Yet the World Health Organisation (WHO) found that the global rate of diabetes almost doubled between 1980 and 2014. It is also no longer a disease of the rich, with most of the 422 million adults living with diabetes coming from developing countries. Thailand is facing just such a crisis. There are four million diabetes sufferers in the country, yet there is very low awareness of the condition. 90% have type two diabetes, yet few are aware of which diabetes they have, or how to manage it. The coverage of medical insurance is very low in Thailand at around 4% of the population. Many face out of pocket expenses – if they can afford any private care – as the overstretched national health service is only able to offer cursory care for chronic conditions. Muang Thai Life Assurance identified a possible gap in the market and has developed a product that could change the lives of millions of diabetic sufferers. The product, BaoWan BetterCare – BaoWan means diabetes in Thai – is the first insurance product for type 2 diabetics that offers dynamic pricing with personal dietary support and additional medical care for hospital treatment. The product rewards policyholders who drive down their HbA1C – a blood glucose score over a period of two to three months – by improving their diet and/or taking more regular exercise. These changes in behaviour have a direct effect upon the and mitigate the effects – or even reverse – of their condition. “Diabetes is the gateway for many other diseases, including kidney disease, retinopathy, heart disease, stroke, and lower limb amputations as a complication,” says Nadia Suttikulpanich, head of Fuchsia Innovation Center at Muang Thai. Policyholders who reduce their HbA1C will see their insurance premiums drop, with discounts of up to 49% being available. Cash is not the only motivator, as BaoWan BetterCare offers daily support. 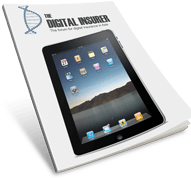 Policyholders receive a testing kit that connects to a healthcare smartphone app. This monitors and stores glucose levels from the user’s daily tests. The app also provides tailored dietary suggestions for each individual, while offering those with concerns or questions, access to a dietician for specific advice about the management of their condition. This helps each individual to gain a far better understanding of how diet and physical exertion affects their specific condition, leading to more effective management. As diabetics will generally have more illnesses than a healthy individual, BaoWan BetterCare also offer covers for inpatient and out patient treatment, moving the product beyond a niche within the healthcare sector. Muang Thai is very clear that the product is the result of considerable group effort. It has been developed in partnership with Roche Diagnostics, which provides the daily test kits, Prenetics, a tech company which has developed the diabetes management application and Swiss Re as reinsurer, which co-designed the product. BaoWan BetterCare is currently undergoing testing in a regulatory sandbox of the Office of Insurance Commission before it can be launched to the general market. It’s potential has already been identified by healthcare professionals, particularly in the private sector. Many people question the fact that diabetes can be well controlled. To prove this Suttikulpanich shared a story of a 25 year old man – one of the new breed of young diabetic – diagnosed with a HbA1C of 9.6, reducing that to a normal range of 5.8 within six months. Demand for smarter employee benefits that satisfy the needs of individuals are very much on trend and such a product – that encourages improved health and therefore reduced absence – is likely to find a home among corporate clients. The model is easily adapted for other chronic conditions that contribute to increased healthcare costs and reduced productivity. These include high blood pressure, high cholesterol and even hyperthyroidism, all of which are, to a greater or lesser extent, controllable. The BaoWan BetterCare project is far more than a about selling an insurance product. It offers an alternative to exiting products that merely offer compensation should an individual become diabetic or suffer a loss as a result of a complication caused by diabetes. “It is about tracking relevant health data, understanding the impact of behaviour change and controlling that it will ultimately result in risk reduction,” says Suttikulpanich. This means insurers will be able to expand relevant coverage to the right target customers, who will have greater confidence they are paying the correct premium, because that can be influenced by their own actions.